Now that I can feel my back muscles again, I am excited to start running again after a couple of weeks break. Tomorrow is my first day back on track as they say and I have got to start getting in the swing of things! After cheering my lungs out for my bestie Megan from I Run For Wine who is running in the New York City Marathon (WOOHOOO!!! !...read all about her awesomeness here) I started making my plan today of getting back in to the running groove. I of course have the runDisney10K weekend to look forward to, but I absolutely want to sign up for some local 5K's to get me back in the swing of things. There a couple of 5Ks this summer that I will participating in but I wanted to see what fall had in store for the runners of Central Florida. Today, I decided to sign up for the Lighthouse Loop Half Marathon and 5K in October. The Lighthouse Loop Half Marathon & 5k, raises money for the ten (10) Volusia County High School Athletic Departments. From their FB page, West Volusia Runners and the Volusia Coastal Runners are teaming up to put on a foot race to support our young athletes and encourage the community to make a difference while improving their own quality of life. 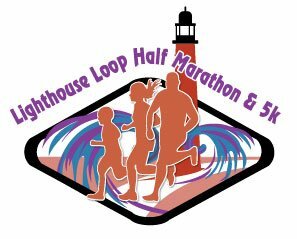 The Lighthouse Loop Half Marathon and 5k will raise money for the ten (10) Volusia County High School Athletic Departments will take place on Sunday, October 27, 2013 in the Ponce Inlet area of Volusia County. Each school will receive an equal amount of the proceeds. Their goal is to put on an event that exceeds runners' expectations while raising $20,000 for our school's athletics. This community event comes at a time when our young athletes are less apt to participate in group sports due to financial hardship found throughout the area.